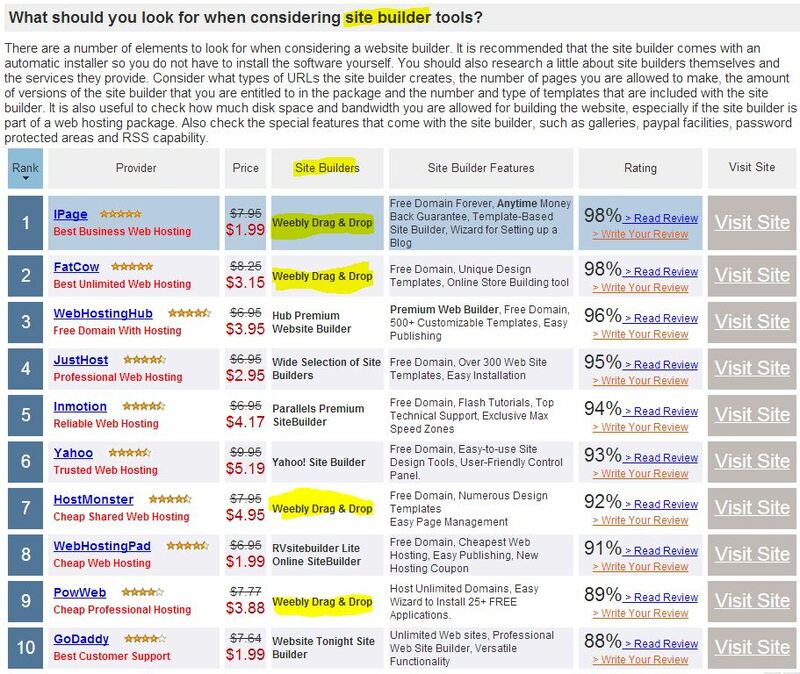 Weebly is a popular website builder that’s often used to create free websites (they have a Pro version with even more advanced features that is priced at $4-5-6 a month). It’s a platform that has continued to gain recognition on the web for its ease of use. For that reason, I decided to take a look at this website builder and write up a Weebly review to investigate whether it’s a good option for those looking for something similar. Without further adieu, here is my Weebly Review. First let me say this. A lot of people use Weebly. It’s an incredibly popular website builder boasting over 12 million people and businesses. A pretty impressive feat which, one would think, means it’s got to be an impressive tool right? Let’s dig into our Weebly Review. And, below that is an ranking of the 10 best "free" website hosting including Weebly drag and drop design! Remember you can still get it all directly from Weebly for the same price or less, which is little to not need an expensive "programmer" or "designer" website development firms.